Is It Spring Yet? 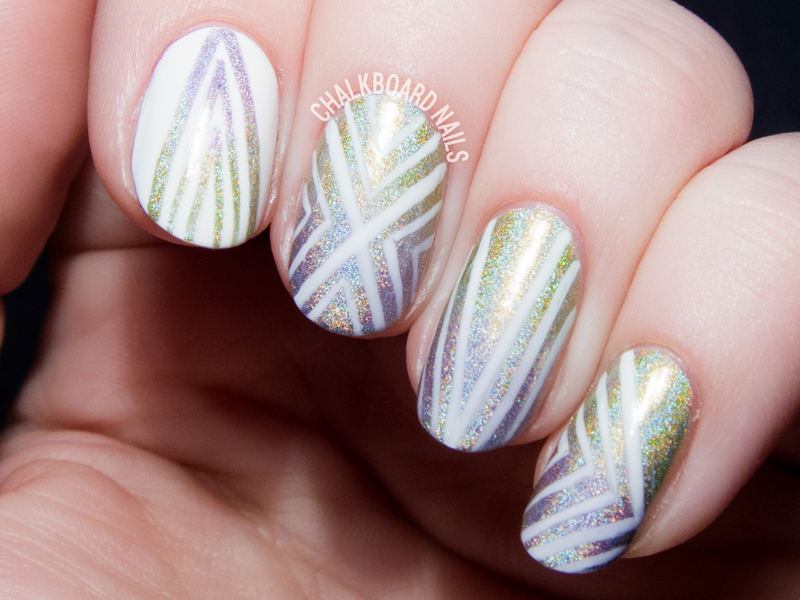 This Linework Nail Art Seems to Think So! Spring is a lovely time, isn't it? I think it may be my favorite season. Besides the gorgeous temperatures and blooming flora, spring brings us PASTEL NAIL POLISH! Pastels are seriously my jam... I think they suit my pale skin but also bring a certain cheerfulness that nudes just can't compete with. KBShimmer is on the same page, and is coming in strong for spring. Their newest collection includes crellies, holos, and cremes in a color palette sure to make your nails bloom. I began by painting my nails with two coats of Ins and Sprouts. I didn't put down a base coat, which proved to be a costly mistake, as it is definitely a stainer on its own. Then, I used a triangle makeup wedge to sponge on a gradient of Thistle Be the Day. I did four or five rounds of sponging to achieve the opacity you see here. Something to note is that sponging these shades together actually diminished the holo effect; both polishes are ultra mega super holo in their natural state. The final step was to add the white markings! I painted them freehand with a small nail art brush and sealed the look in with topcoat. 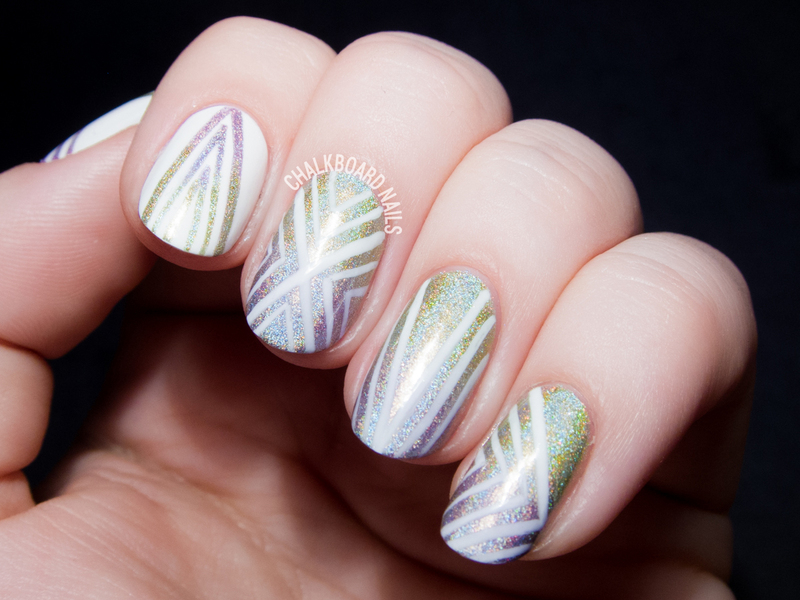 This nail art really got a lot of complements, and it was fairly quick to accomplish. The formulas on the holographic shades were easy to work with, smooth, and quick drying, though be sure you wear a base coat with Ins and Sprouts to avoid staining. I totally love this! Whenever I get my nails done I always get it done by a professional but maybe I will try this technique next time I paint my own nails! I will definitely remember the base coat so I do not stain anything. I as well love pastel colors for nails but I am more of a dark shade persson. As I am not as pale I love to show my dark side and get a dark blue or wine color. Do you ever get yours professionally done or do you usually do your own? They are so cute! This is a very interesting and fun pattern to look at. I like this combo. Oh dear holoness, this is lovely. 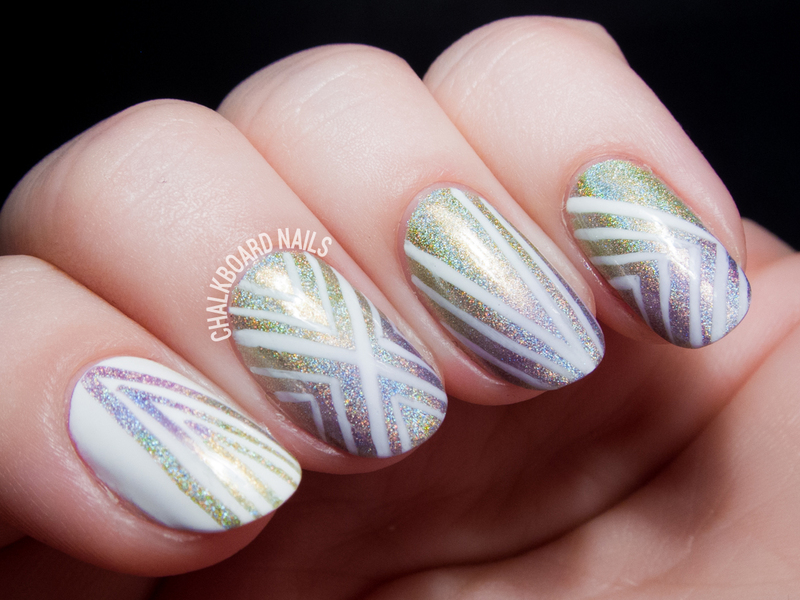 LOVE your index nail, the pattern is so so pretty! Nail art is really too good for every girls.. it gives us more attraction and really pretty. I always do my own! I'm very particular so I do them from my home. 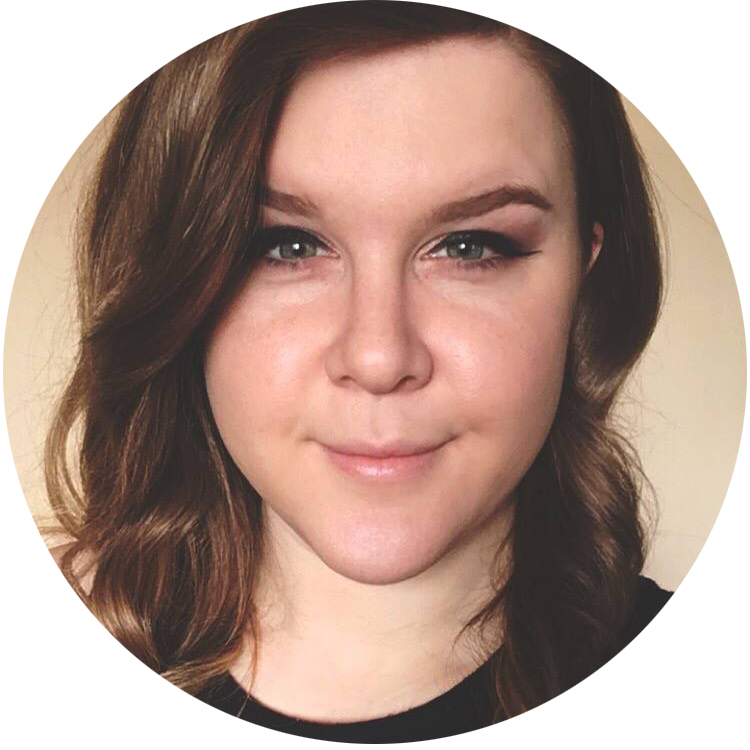 Everything on this blog is stuff I've done myself! Great nails! The lines are so neat can't believe you did them free hand! I adore how this ended up! Sarah, these are absolutely stunning! I'll definitely have to try something like this soon for spring. I love how soft it looks with the white not being 100% opaque over the holo colors. The whole thing is so pretty. I think I might actually try doing straight lines to try and replicate this.